I've been working on this logo for Long Neck Coffee. 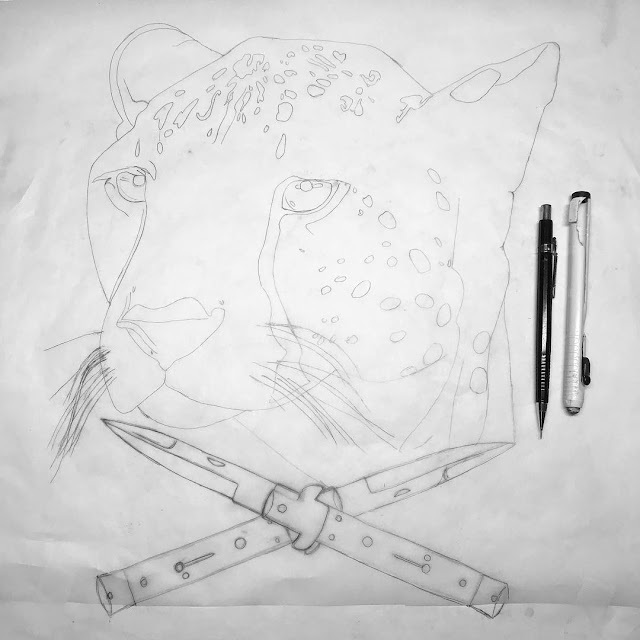 Here is the final layout of the first logo of two. 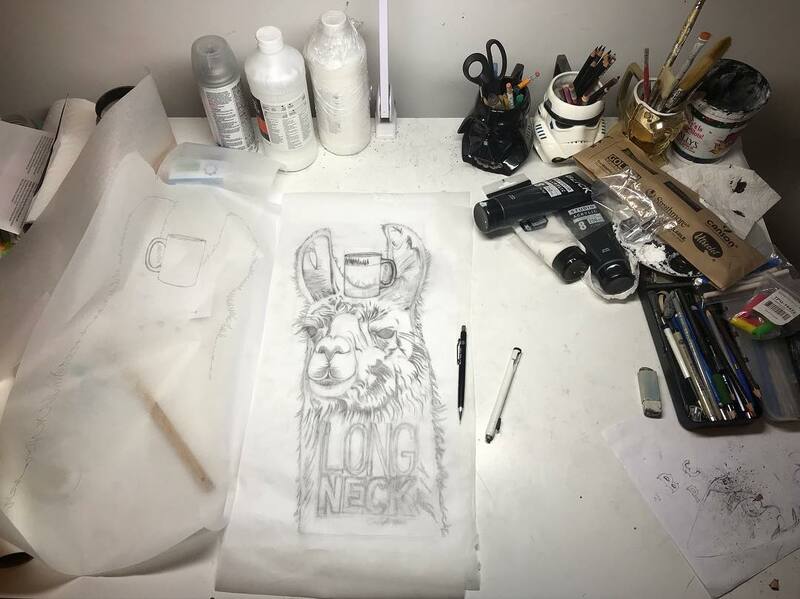 It will be a 2 color design. Eventually, I'll cut a lino block of this and pull prints. This new coffee shop is out of Foresthill, California. It's still in the works and so not yet open. I use a lot of tracing paper. 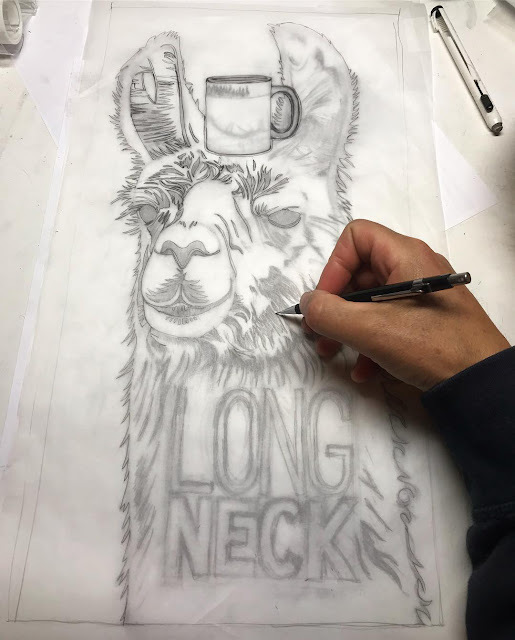 I've been reworking the llama for this logo I'm doing. 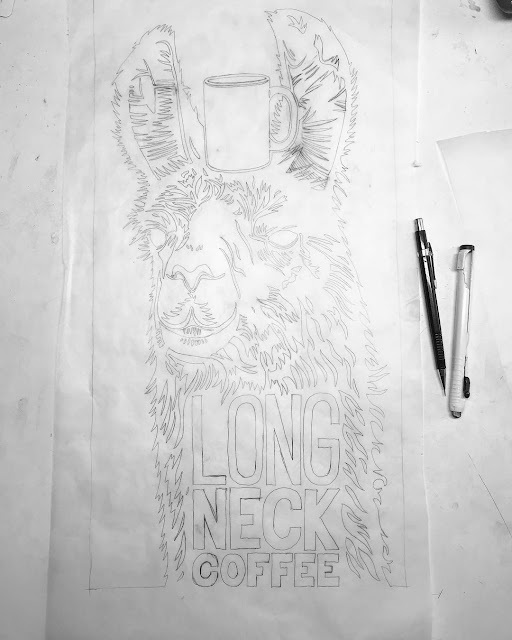 There's a few layers of tracing paper there. The design will be 2 colors having a wood cut look to it. Eventually, I want to cut a linoleum block of this and pull prints of it. Oh yeah! My portrait art show is still going strong. 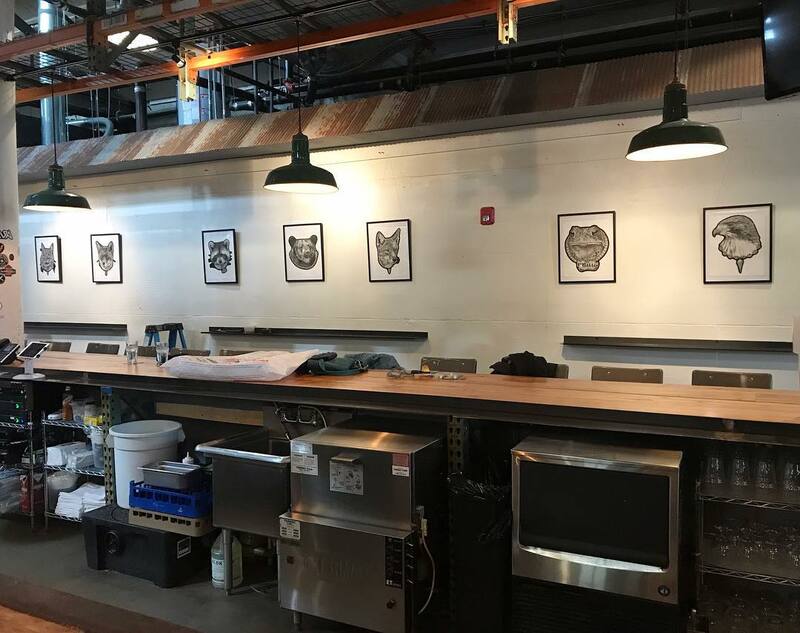 Catch it while it's still up at Love City Brewery. This place also happens to be one of my favorite watering holes in Philly. Good stuff! 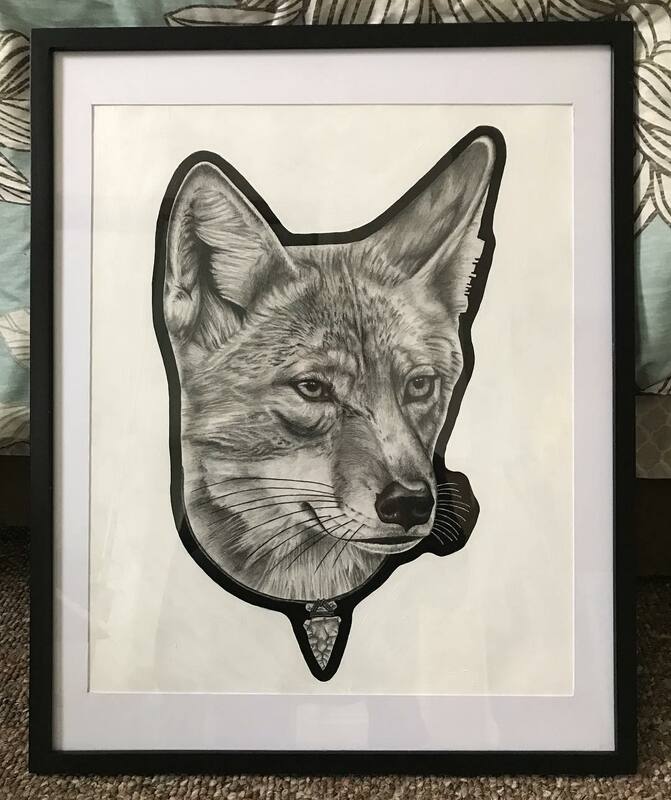 So, get out and support local arts and crafts! 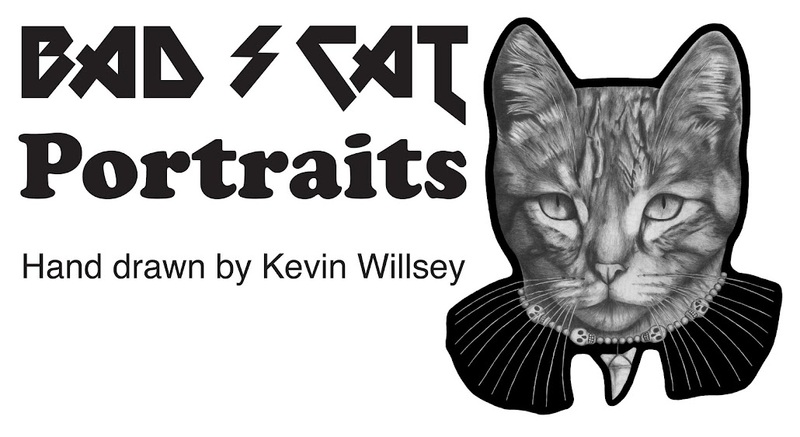 New portrait series, Big Cats. I'm starting a new portrait series. This one is called "Big Cats." Big cats and blades is the theme for it. 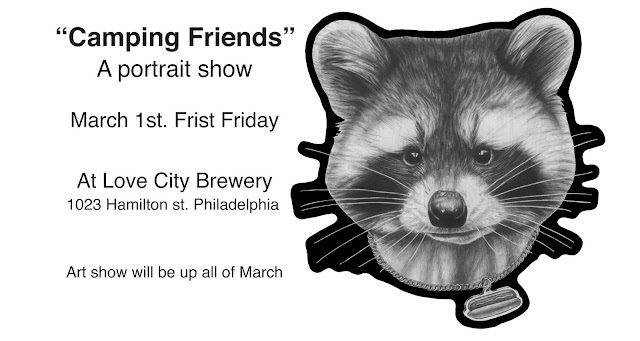 I hope you got out to see my portrait show at Love City Brewery. It'll be up all month if you haven't. Go check it out! Ready for the opening tonight! I hung up my portraits for the opening tonight! hope you all can come out tonight. Support local artist! 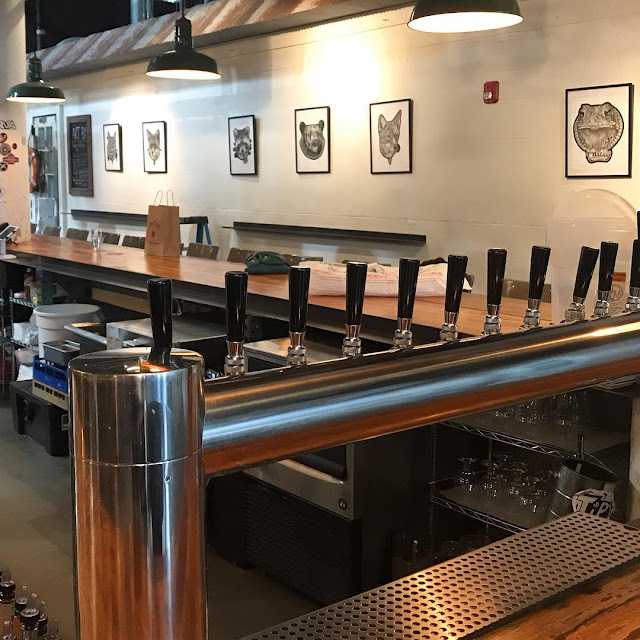 It's going to be a fun night at Love City Brewery. See you there! 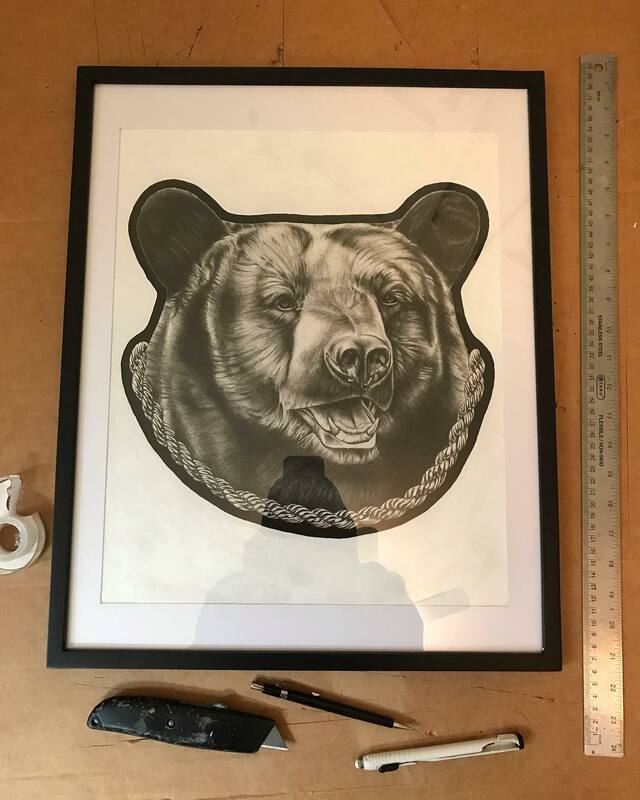 This is a sneak peek to my art show this Friday! Come out to see my woodland animal portraits at Love City Brewery March 1st. Next week is my art show! I hope you all can come out for it. It's going to be fun. My dog Max helped with the framing for my art show. He's got skills! I'm getting ready for my art show at Love City Brewery. March 1st! 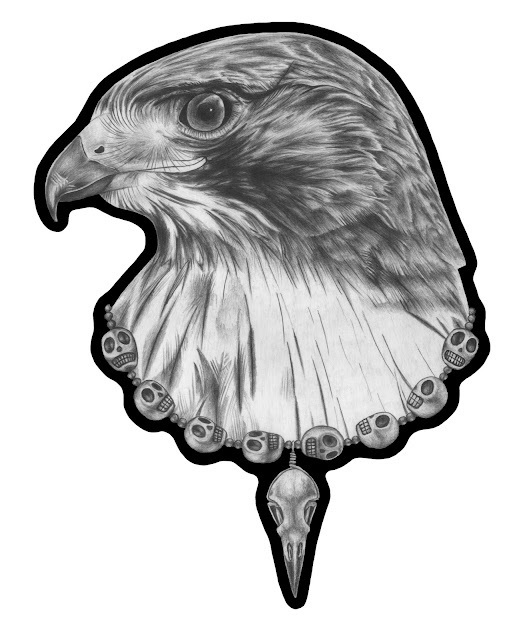 This is the red tailed hawk portrait. 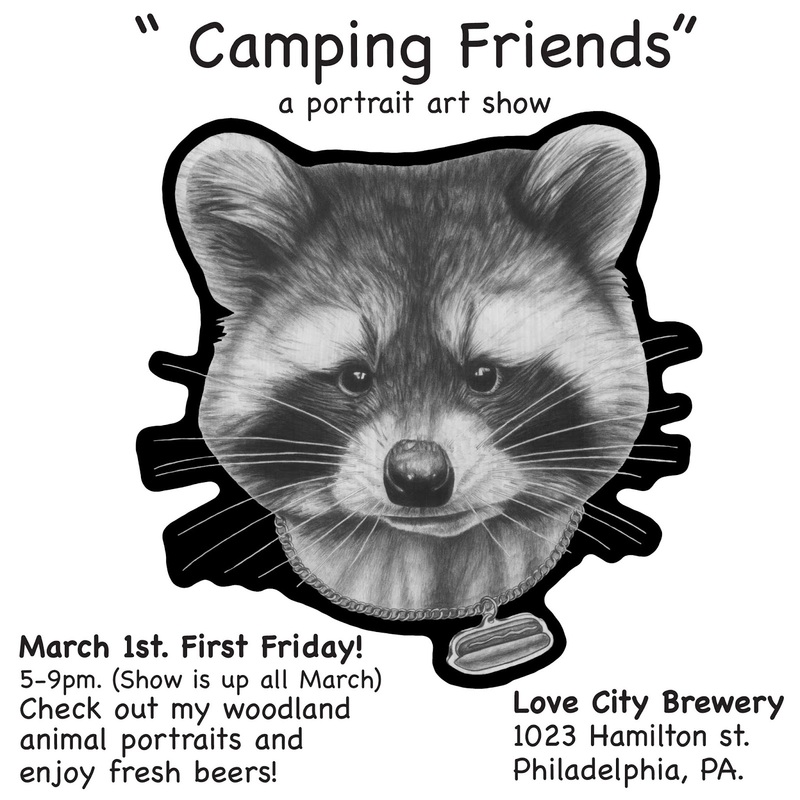 This is the last piece for my "Camping Friends" portrait show coming the March at Love City Brewery in Philly. Check it out! 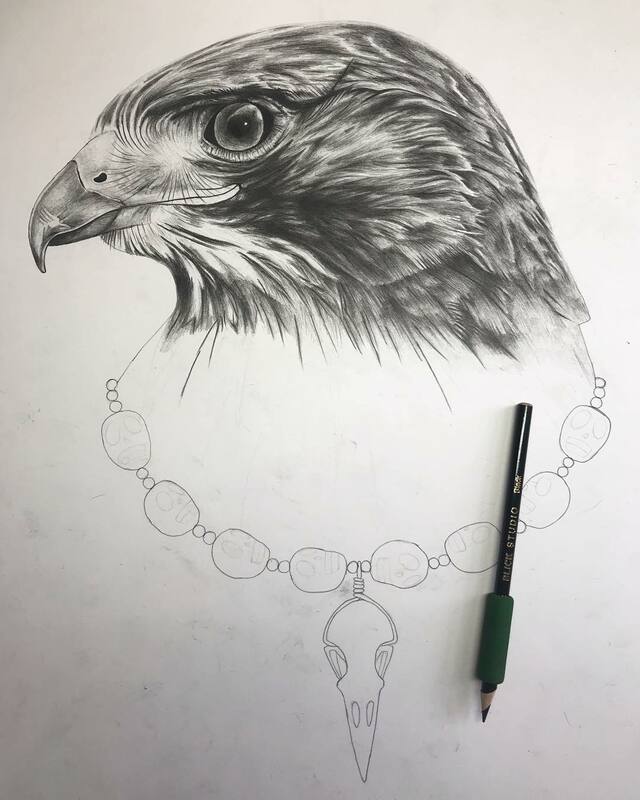 Woke up and got to drawing. 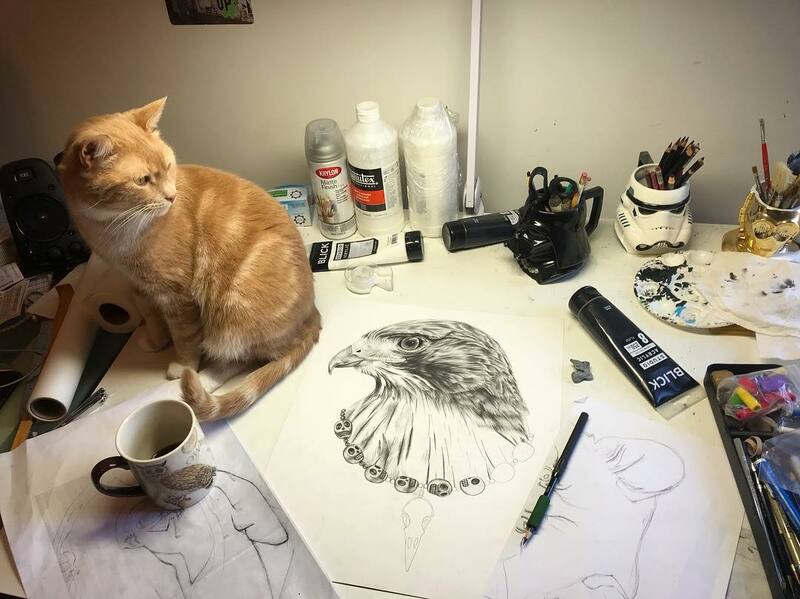 Frankie hung out with me while a drew the red tailed hawk portrait as well. I made a trip to Blick's art supply shop today. 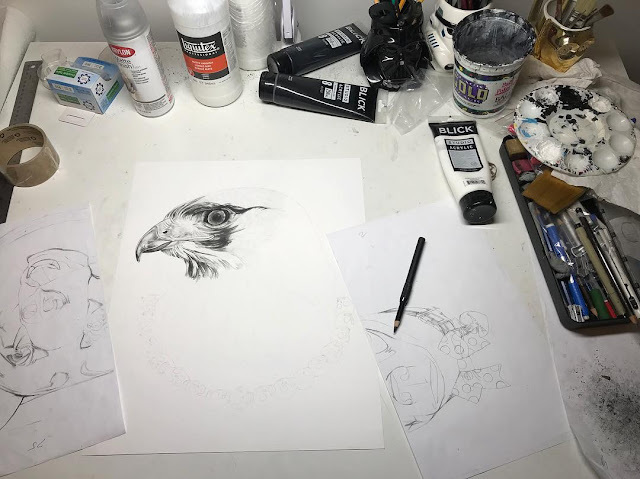 Now I'm back in the studio drawing the red tailed hawk. 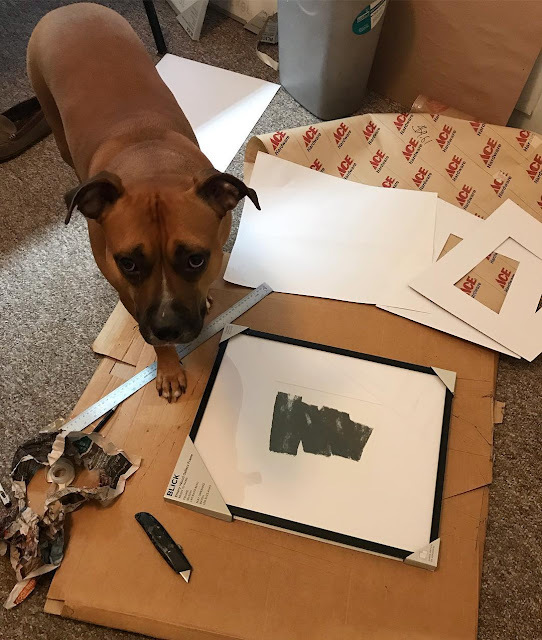 I have lots to do to get ready for my art show coming up. Stay tuned! I'm my worst critic. 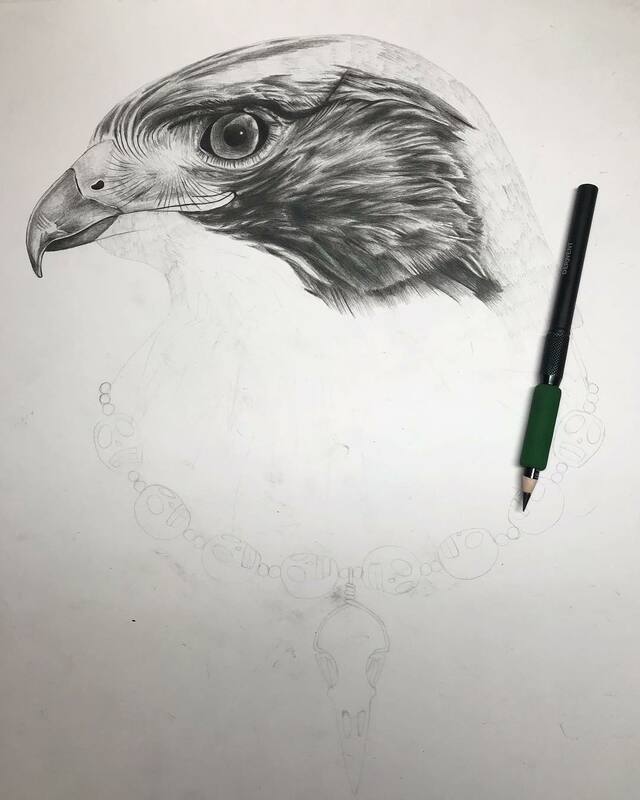 I started over on the red tailed hawk portrait. Here is Boston with his drool for all his goodies! A treat, ball, steak, Kong, and blackberries, oh yeah! 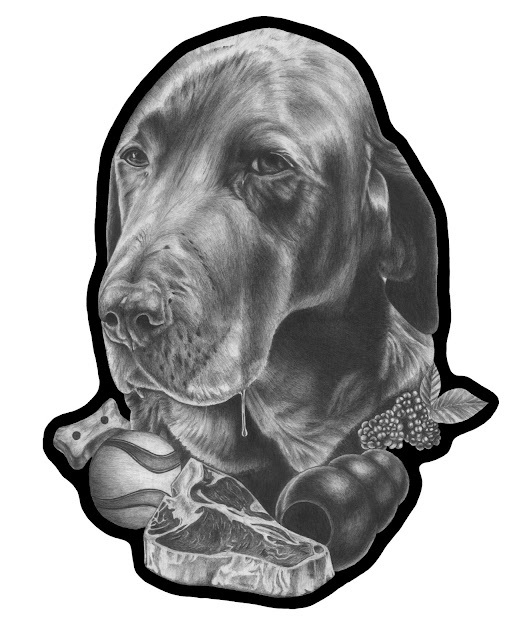 Keep those dog portrait commissions coming. 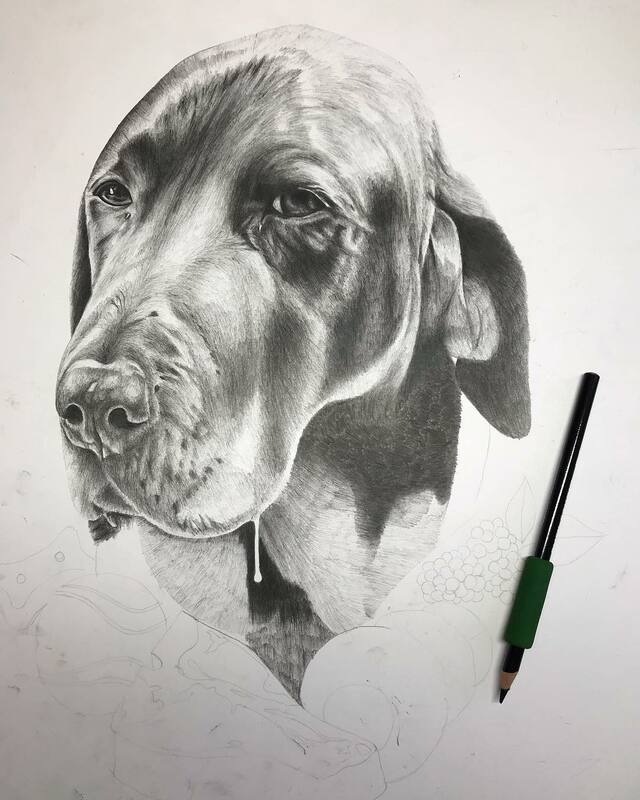 I'm ready to draw your pet portrait. It's a new year. 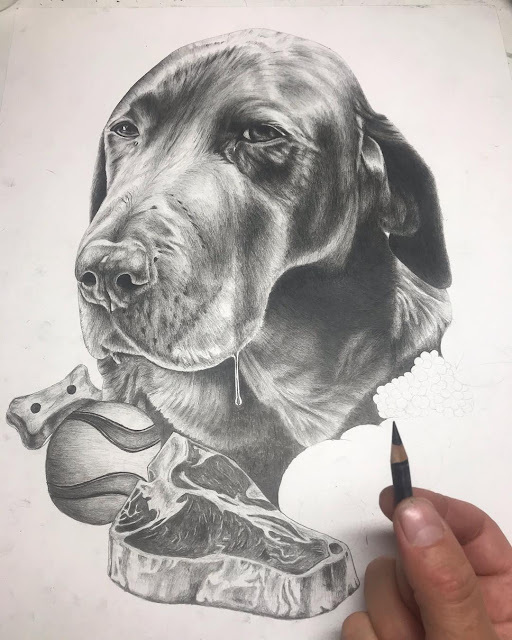 I just keep on drawing...Stay tuned for more on this dog portrait commission of Boston.